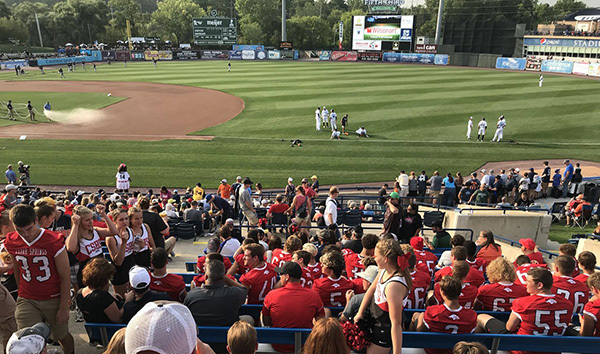 Football team and cheerleaders in the stands at the Whitecaps game on August 15. The Red Hawk Cheerleaders performed at 5th/3rd ballpark on August 15 during whitecaps baseball game. The Football team went to the event to support the Cheerleaders. The Athletic Director has received many compliments regarding the cheerleaders performance and CSPS sportsmanship. Go Red Hawks!